Two thousand year-old Asian medicine books list the powerful healing qualities of Green Tea. We created an herbal facial massage treatment utilizing green tea powder that tones and soothes problem and sensitive skin. This treatment is a great cleansing facial massage "rescue treatment" that also works well with male skin. 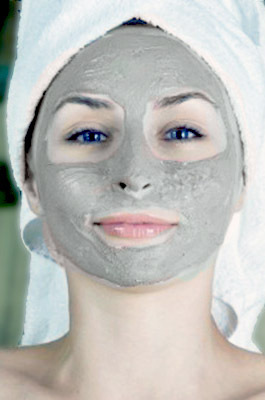 It's a treatment that will pamper, reinvigorate and rejuvenate your face and neck. Matcha Green Tea, oat flour protein and pure French White Clay - This anti-bacterial facial massage mask removes damaging environmental pollutants, extracts excess skin oil, and helps the skin on the face and neck to breathe. Hot Steamy Towels activate the Green Tea facial massage mask to further help relieve tissue congestion and begin the re-vitalizing process. Facial Massage - with soothing light Azulene oil promotes circulation and flushes toxins from the face tissues while releasing facial muscle tension. Cool hydrating mask - moisturizes the skin with aloe extracts and helps close pores. The addition of mood uplifting Jasmine Oil adds an aromatherapy dimension to the treatment. Your face is left moisturized, smooth and revived. Allow up to 60 minutes for this treatment.